Fact: The Sega CD's library is not all questionable quality full motion video games. 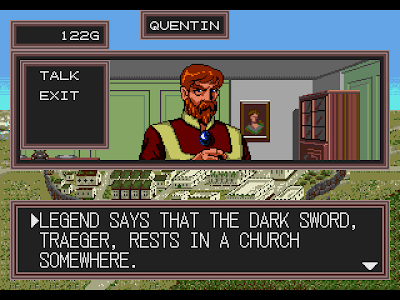 While it has a reputation of having some truly awful games on it, the Sega CD is the home of a handful of unknown or underrated games. Today we're going to put the spotlight on one of those unknown games. Let's take a look at Dark Wizard! Come on! Sega CD killer app! Well, for me anyway. 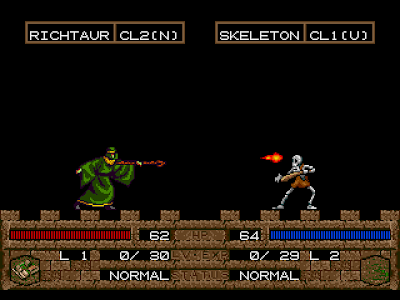 Dark Wizard is a game that pretty much all of my friends owned. From looking at it, you wouldn't think it would be as popular as it was among my circle, but it was. You had to own this game! There was no way around it. Another oddity is that all my friends actually had a Sega CD. Wrap your mind around that one for a second. From what I recall, my friend Matt was the first one to acquire the game. I remember being at his house and watching him play it for literally hours, as he was wont to do with many games before handing over the controller, but for some reason I didn't find the experience boring. Eventually I asked for the game from my parents and received it for Easter in, presumably, 1996. My history with the game is not all good, though. 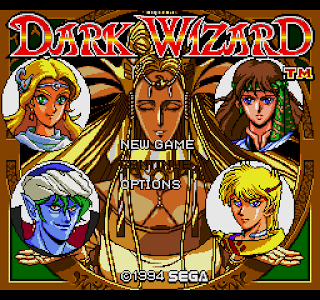 It was Dark Wizard, after all, a game I absolutely loved, that made me lose my temper and sell off my entire collection of Sega games and consoles. After devoting many hours to the game, my RAM cart decided to die. 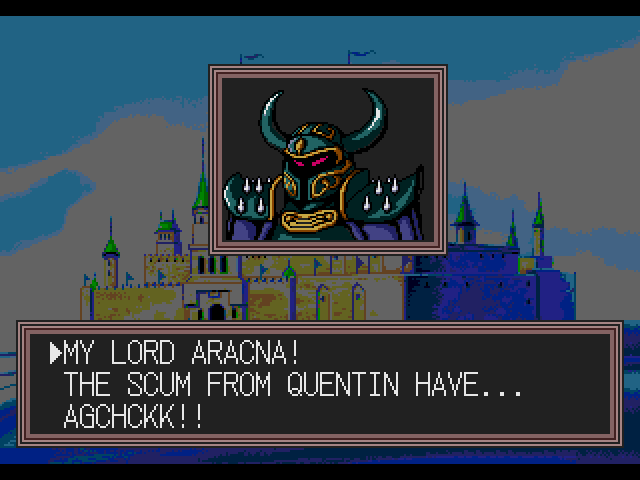 I lost all my progress on Dark Wizard as well as my progress in all my other Sega CD games. I sold everything I had to a grocery store near my grandparents' house that also rented out games. With the money I got from the sale, I bought the then new Sony PlayStation. 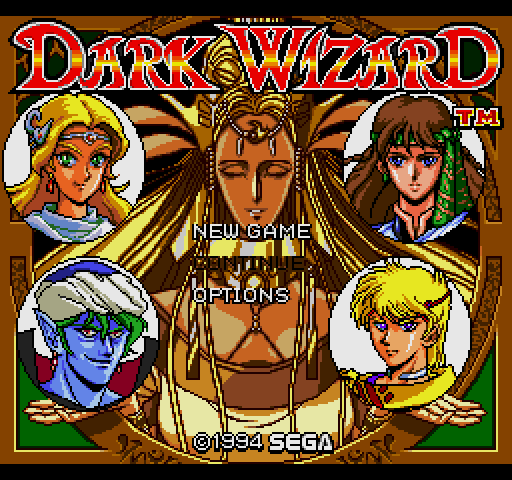 After I began my quest to re-buy all the games I sold in my stupidity, I found that Dark Wizard was one that was going to be difficult to obtain. This is pre-pawn shop and pre-internet (for me), so my options were to try to get it from one of my other friends that had the game. The problem was that no one that owned the game wanted to part with it! However, I was eventually able to buy it off of my friend Joey, and everything was right in the universe again. Dark Wizard is a hex-map based strategy role-playing game where you command an army of troops composed of several fantasy races and monsters. Still reading? Your goal is to kill the rival enemy commander, and doing so will mean victory even if there are other enemy troops on the map. Maps can be revisited after you win, allowing you to enter towns you might have neglected to visit due to them being out of the way or there just not being enough time because the game is so thrilling. Returning to maps also allows you to search for hidden items that you can equip onto your characters. 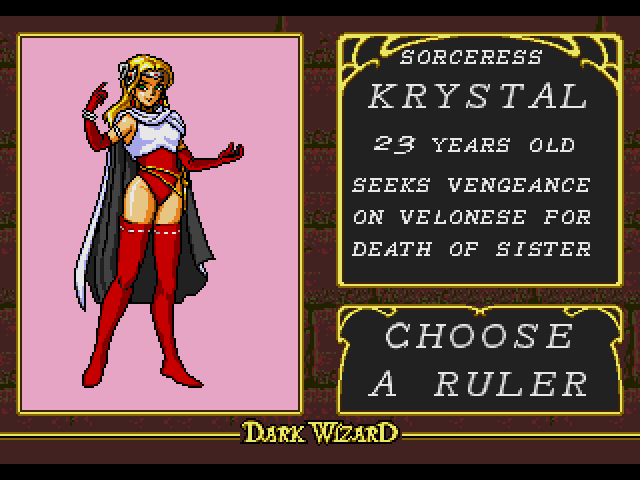 Krystal is a powerful sorceress! When you begin the game, you are given the choice of playing as one of four characters: Amon, a vampire; Armer IX, a prince; Krystal, a sorceress; and Robin, a warrior. 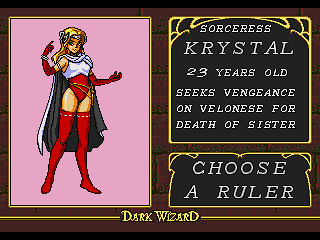 For the purposes of this spotlight, I chose Krystal as my ruler because thigh-high boots. 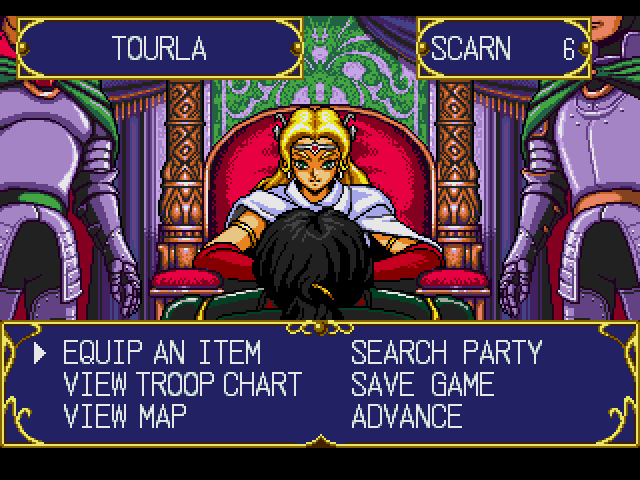 Each ruler gets their own set of troops they can hire or summon, and each ruler has their own music theme that plays on your turn. After picking your character, you're placed on the field of battle. The game gives you a handful of troops, but you'll want more very quickly. If your ruler is standing on the starting point, you can hire or summon monsters to help you achieve victory. 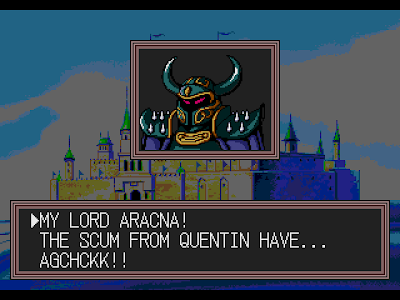 One neat thing in Dark Wizard is that you can name any character in the game! It sounds meaningless now, but back when this game came out, that was a huge deal to my friends and me. 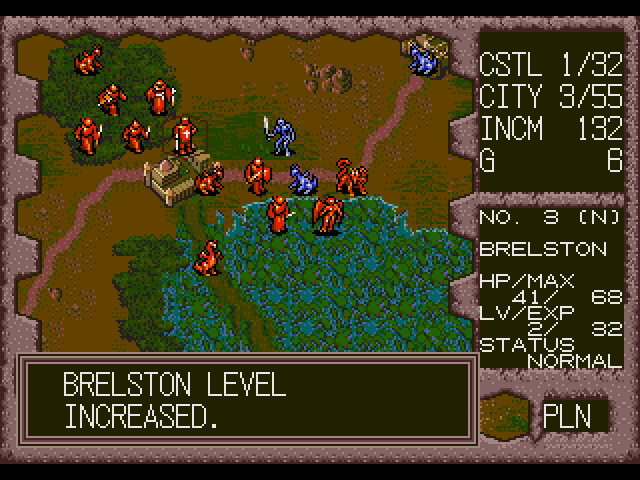 Like other games of this type, your turn is spent moving your troops one unit at a time across the battlefield. 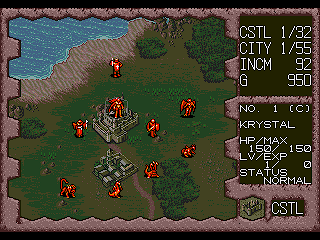 Each unit can only move so far, and certain terrain makes it more difficult or impossible for certain units to traverse. 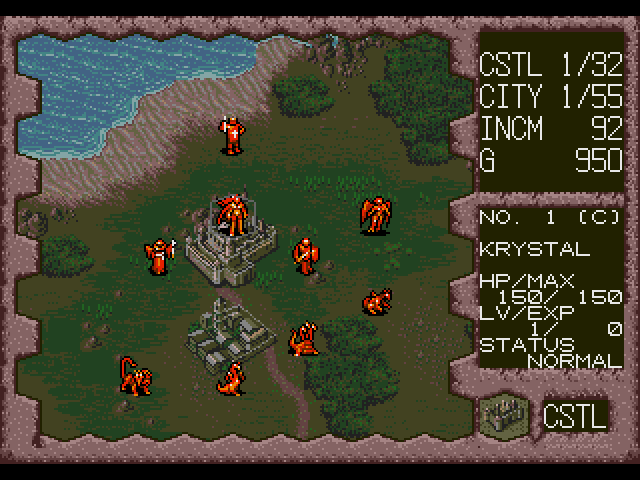 In the screenshot to the right, you can see several troops placed around as well as a town directly to the south of Krystal's starting point. Moving onto the town and entering it will allow you access to the town where you can buy items and get clues. You can also find other interesting places in town like the mayor's home, a bar, an alchemist, or a church. 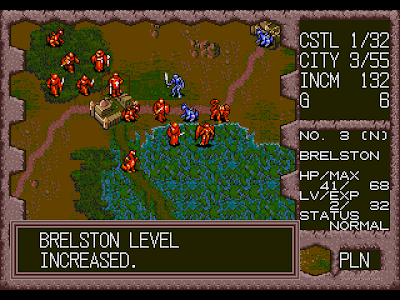 You attack your enemies by moving one of your units up to it and selecting attack. The first time you attack an enemy, if you don't kill it, the enemy will counter attack. However, it will only do this the first time you attack. 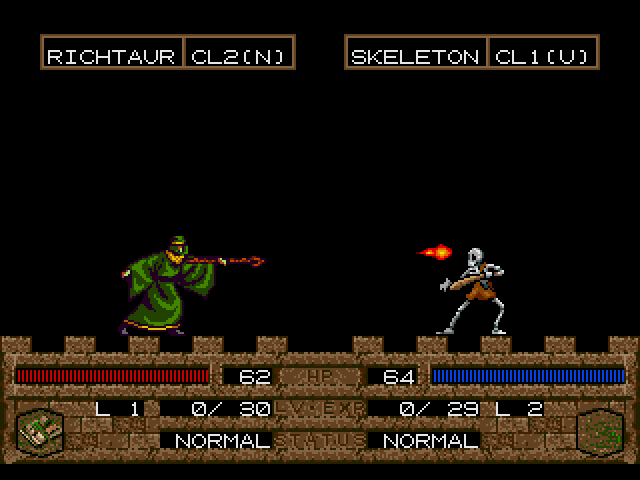 Then you can move other weaker units up to it and attack the enemy without fear of retaliation. It's good to do so your weaker units can level up. 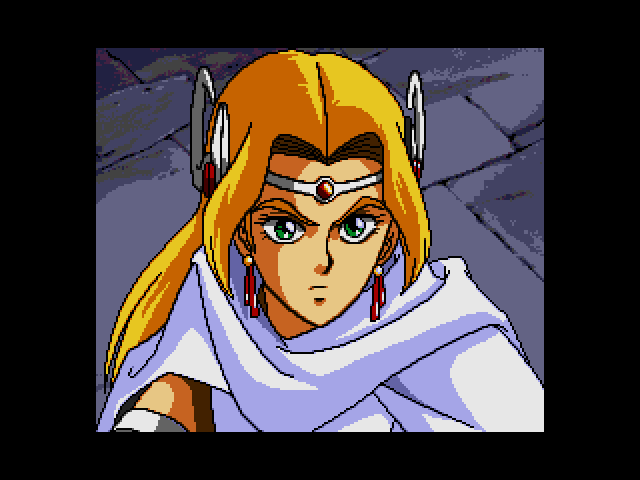 Unlike Fire Emblem, though, your units don't stay dead forever if they happen to die. Your troops can also change classes after they level up enough, allowing them access to spells and weapons that they can not normally use. Get the clues that you can use! Player troops are orange, enemy troops are blue. Turn these battles off immediately. Only do text battles. Trust me. The Warlord has been defeated! The music in Dark Wizard is amazing, and it's even on the disc! Put your copy of Dark Wizard (because you totally have one, right?) into a CD player and you can listen to the great character themes in the game! Or, if you... acquire it other ways, you'll have the Mp3s at your disposal. The music is very fitting for the game, and it really gives you the sense of a fantasy war. My favorite track is... any of it, really. Start to finish, the soundtrack is top shelf stuff. Dark Wizard is a game that's not for everyone. I know that. It has a bit of a learning curve that people unfamiliar with this type of game might have difficulty grasping. Additionally, it's on an obscure and unpopular game console that hardly anyone played, so finding an actual copy might not be the easiest task. Finding other ways to experience it are definitely simpler. I'm just sayin'. The game is also a little dated at this point. 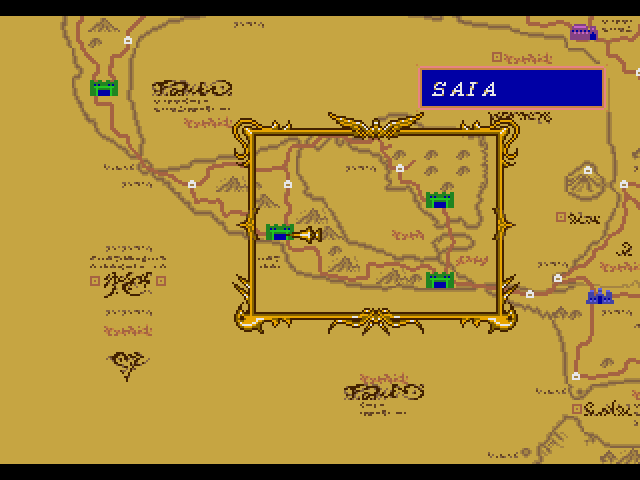 Even playing it now to get these screenshots, it seemed to play a little slower than I remembered. When you're a kid you have all the time in the world to devote to a game like this. As an adult, though... not so much. I can't believe I sunk so many hours into it when I was younger, but I do know that I loved every minute of it. Well, except for that minute when I lost my RAM cart saves. That was awful. All that being said, I still think it's a highly enjoyable game. It's well worth checking out if you have a tolerance for strategy role-playing games. And time. Lots of time.